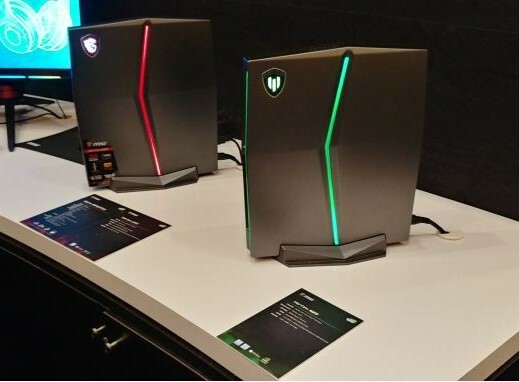 MSI will launch this year the workstation variant of its G25 gaming compact PC. The W25 will feature gen 8 Core or Xeon CPUs, Nvidia Quadro GPUs, up to 64 GB of DDR4 RAM, HDD+NVMe combos and VR-ready compliance. Among the mini PC models showcased this year at CES, MSI unveiled a workstation variant of the successful Vortex G25 mini PC. The slim PC case remained essentially unchanged, but MSI replaced most of the components to make the new W25 a workstation-grade system. 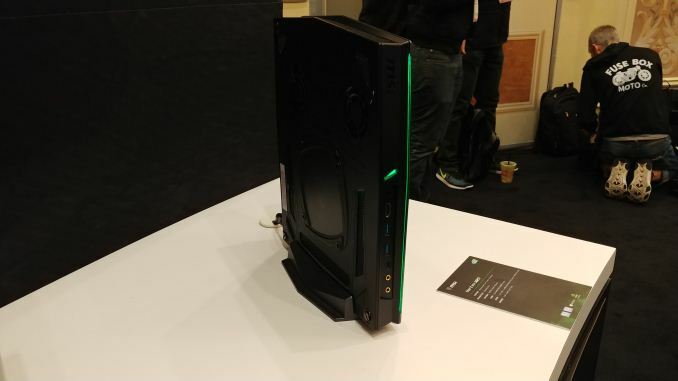 The W25 spec sheet includes Intel’s gen 8 Core or Xeon CPUs, Nvidia Quadro GPUs, up to 64 GB of DDR4-2400 MHz with four available slots for upgrades, plus a storage combo made up of one 2.5-inch HDD and up to two NVMe M.2 SSDs. The compact case that measures only 12.3 x 10.98 x 1.69 inches and weighs 6.5 lbs is actually a 13” laptop chassis refitted to accommodate desktop-grade CPUs and GPUs. Although MSI did not mention the exact CPU options, the inclusion of desktop-grade CPUs suggests that at least 6-core models could be added and these are to be cooled by laptop heatpipes. As for the connectivity side, the W25 comes with and HDMI port, 2 x USB 3.0 ports plus a Type-C port and an audio jack, making it a VR-ready solution. Details about pricing have not yet been disclosed as the gen 8 Xeon CPUs will be launched later this year.